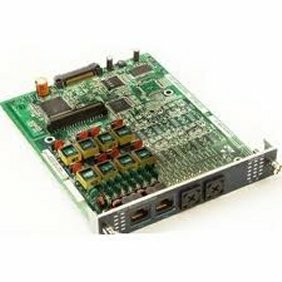 The NEC SV8100 8-Port Digital extension card CD-8DLCA is used to connect 8 digital phones to the system. This card is one of the most popular ways to add digital extension - also known as "stations" or "terminals" to the NEC SV8100 telephone system. The card can be further expanded with an 8-port digital extension daughter board or you can opt to expand with a 16-port digital extension card right from the start. Phone options include the entire DT300 series telephones and DSS Consoles.